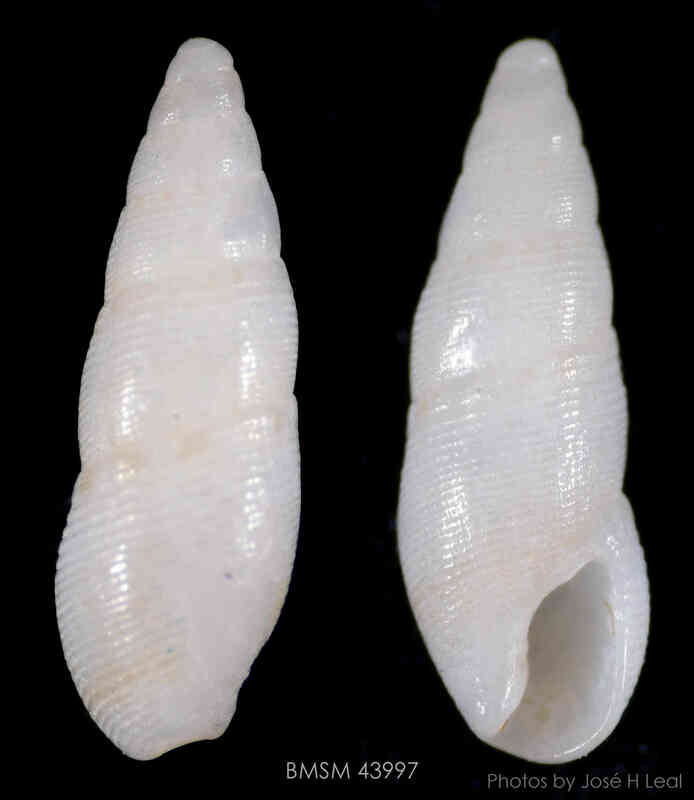 Shell size up to 5 mm. Shell slender (among the most slender columbellids), whorls slightly convex, aperture length about 1/3 shell length. Sculpture of incised spiral lines. Shell cream color, fresh shells more strongly colored, usually orange-brown. Protoconch of 1.5 smooth whorls. The photo shows a 4 mm shell collected by Rebecca Mensch off West Gulf Drive on Sanibel, October 9, 2015.